A mesothelioma diagnosis will change your life drastically, but it should not prevent you from traveling and having an enjoyable vacation. Always speak with your doctor first if you are considering a trip. He or she can tell you if you are fit to travel and also advise you on making arrangements for special needs you may have. If your doctor approves your trip, you still will need to plan your accommodations. This can sometimes be complicated, particularly if you need a wheelchair or are taking medications. This is where planning ahead has its advantages. You may need to request special services during a flight or a hotel stay. However, vacations are important for mental well-being. As long as you are well enough to travel, inconveniences should not prevent you from having a relaxing vacation. Make sure you and your doctor are on the same page about your travel plans. Tell the doctor how long a trip you’re planning and how intense it might be on you. Physical abilities: Are you mobile? Can you adequately care for yourself? Severity of symptoms: Are your symptoms worsening? Are you able to cope with them? 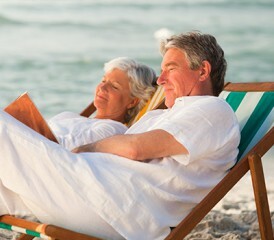 Scheduled treatments: Will your vacation interfere with your scheduled treatments or recovery? Duration of travel: How long is the flight or drive? Location of travel: Will you be traveling abroad? Will you have access to adequate health provisions for your condition? If your doctor approves of your vacation, you should then discuss your travel options with your family. This should include a conversation about your special needs. You may decide that you are too weak or too easily fatigued to perform certain activities. You may be more comfortable in certain climates. You should also consider what medications you’ll need to bring, if you need to travel with a wheelchair and if you’ll need access to an oxygen supply during the trip. These are all important issues to raise, not only with traveling companions, but also with hotels, airlines, rental car agencies and some of the marquee destinations you intend to visit. When making travel arrangements, consider how you will get to your destination. If you plan to fly, you may need access to a respirator or other special arrangements during the flight. Notify the airline ahead of time if you plan to use a wheelchair or if you’d like to board the plane early. Find out if you can request a special meal to suit your dietary needs. Also keep in mind that airlines allow a limited amount of liquid on board. If these limits interfere with the medications you plan to carry, discuss your options with an airline representative. You may need a note from your doctor, or the airline may require that you pack your medication in your checked luggage. If this is the case, be sure to pack a small amount in your carry-on bag. This will be helpful if you need it during the flight or if your luggage is lost. You should also ask about airport shuttles. A shuttle is much more convenient and comfortable than walking or taking a cab to your hotel. Take note of which local areas and hotels the shuttles travel to, as well as if they follow a specific schedule. Speak with an airline representative to discuss all your needs and confirm any special arrangements. You will have similar considerations when booking a hotel room. Explain your situation to a hotel representative. If you use a wheelchair or are prone to fatigue, request a room on the ground floor. Also inform a hotel representative if you use a respirator. Ask about nearby restaurants and stores. Make sure you can follow your meal plan at local eateries, and find out if there is a pharmacy near the hotel in case you need medication. If you’re flying to your destination, leave with plenty of time before your flight. It may take longer than usual for you to navigate the airport. You may be using a wheelchair or you may need to walk slowly. The security screening may also take longer than before. Traveling with a wheelchair will slow the screening process. Security officers may also need to take time to examine liquid medications or any other medical items you have. In case it is needed, make sure you have the note from your doctor in a convenient place. This will ensure that your vacation gets off to a good start. When you return from your trip, you may be due for a check-up or more treatment. Once you are settled, see your doctor to discuss any complications you may have encountered. From there, you can proceed with your usual treatment and recovery.